Using photography in social media for digital marketing is an incredible opportunity that helps to connect with others and even showcase your brand in a unique and interesting manner. Cameras are everywhere nowadays and with the rise of social media, people can not only shoot photos, but they can also share it with a lot of people. Facebook is a great means to share photos on the timeline and in galleries. But unfortunately each type of image on the page, profile and the timeline has its own quirks and size and often Facebook has a nasty habit of making changes and announcing new layout for the timeline. Sometimes the image dimensions are 470px x 246px and sometimes they vary and allow even higher dimensions for images. 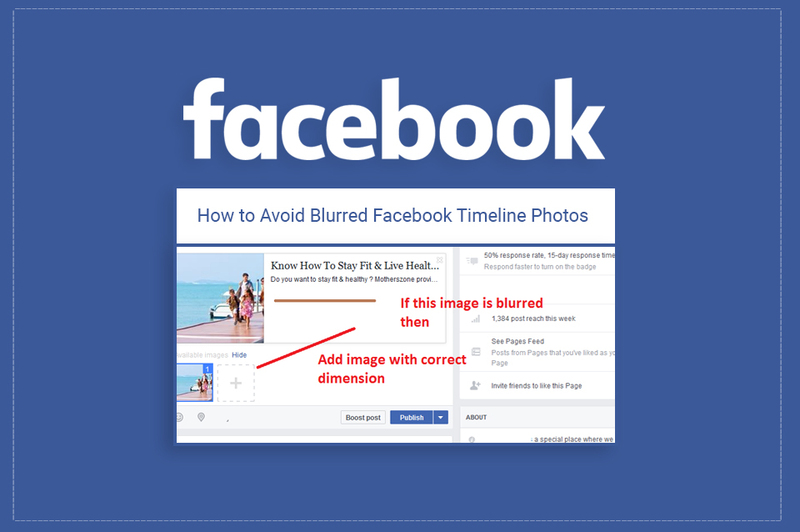 While uploading images, you might have come across the issue of getting blurred images on the timeline. This is due to the few minor tweaks to the photos on the timeline and the display of links. Here are the essential steps that you should keep in mind while incorporating photography into your Facebook page. 2. If the image on the link appears to be blurred, then make sure that the image dimensions are 470px x 246px. Maintaining these dimensions will help to display the image properly and prevent scaling and cropping. 4. Change the Title & Description Of Post ( If Required) & publish the post.